Mountain living offers a unique home environment, adding the beauty of panoramic views, ample sunshine, and a certain on top of the world feeling that's hard to put into words. Explore these luxurious mountain homes that embody the energy and majesty of mountainside living! This forest chalet is used year-round as a getaway for a family who loves outdoor activities – especially skiing. Located at Devil's Glen Ski Resort, the original building (seen in back) holds significance for the family, as it was built by the current owner's father. Toronto-based architects from BLDG Workshop Inc. worked with the family to expand the chalet, still retaining the original building and given due attention to the unique mountainside location. The result is a combination of old and new buildings, both with an emphasis on blending in peacefully with the environment and drawing upon the natural beauty that surrounds the site. 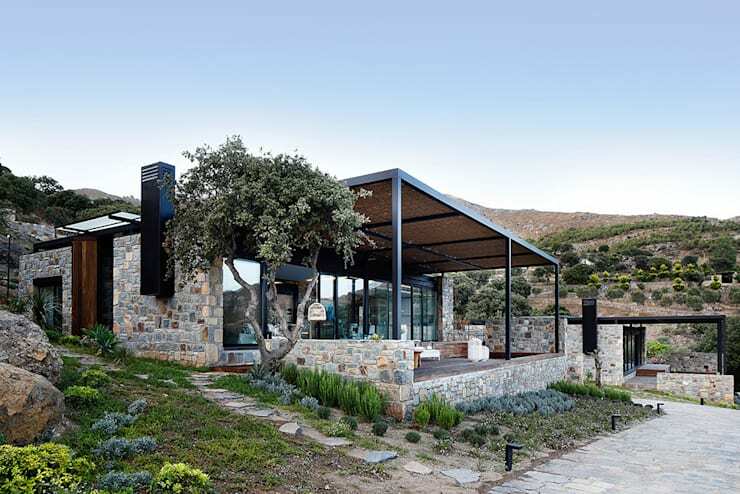 This cottage is an excellent example of a structure that is built to blend in with its environment, as the rugged stonework design is flawlessly camouflaged as part of the rocky, sloped landscape. In addition, the architects have incorporated native plants into the landscaping, giving the house authentic, rugged surrounds. Although simple, this cottage upholds a focus on the special perks of mountain living, namely: the open air and the views! This family enjoys a scenic spot with a large, sheltered patio to celebrate it, with a wide panel of windows to enjoy the panoramic sights from the interior as well. 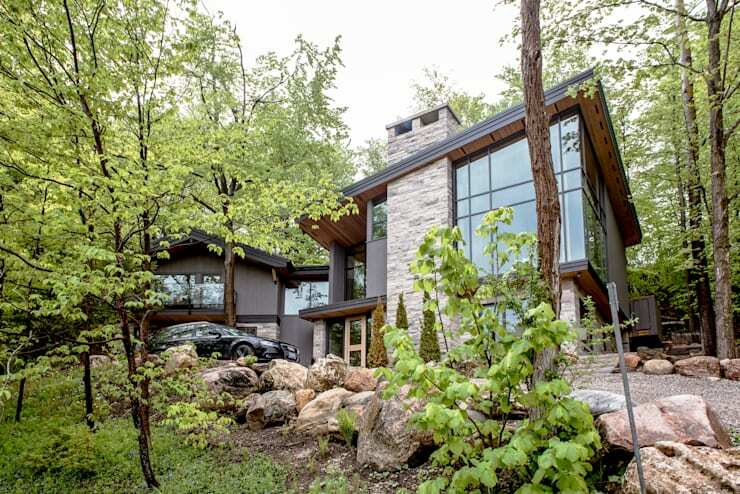 Bold, impressive, and completely over the top, this luxury home brings mountain living to entirely different level. 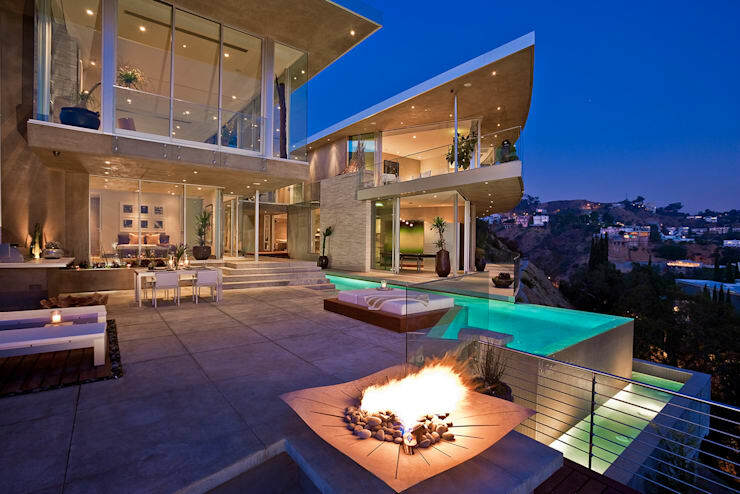 Sleek, illuminated surfaces with golden lights give this structure an energetic, futuristic appeal, and features like an upscale patio fireplace, granite tile slabs, and a double decker assembly of cliff-hanging pools add to the pure majesty of this home, which enjoys a location jutting out into the Los Angeles skyline. This lofty mountain villa takes mountain living to new heights – literally. With an impressive vertically stacked design, this home stands with pride and authority as it soaks up rays of sunshine. 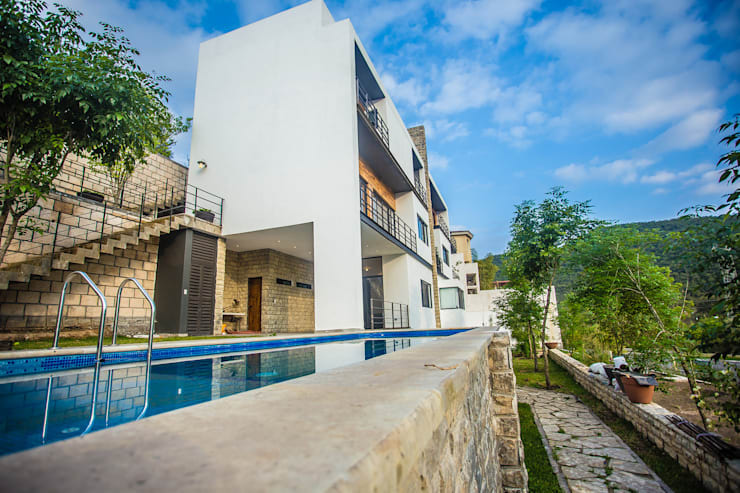 An elongated pool located on one of the various terraced levels of the property makes a subtle play as it mirrors the lengthy structure of the main building, emphasizing its generous size. This French chalet is everything a chalet should be – and a little bit more! Raw, textured beams tell a story steeped in history and tradition, while plush modern furniture adds modern comfort to the space. With the common room equipped with enough sofas to host a large family reunion, this chalet offers the perfect spot for a friendly gathering, with golden lanterns, silky pillows, velvet couches, and plush rugs contributing a dose of warmth and coziness for the occasion. 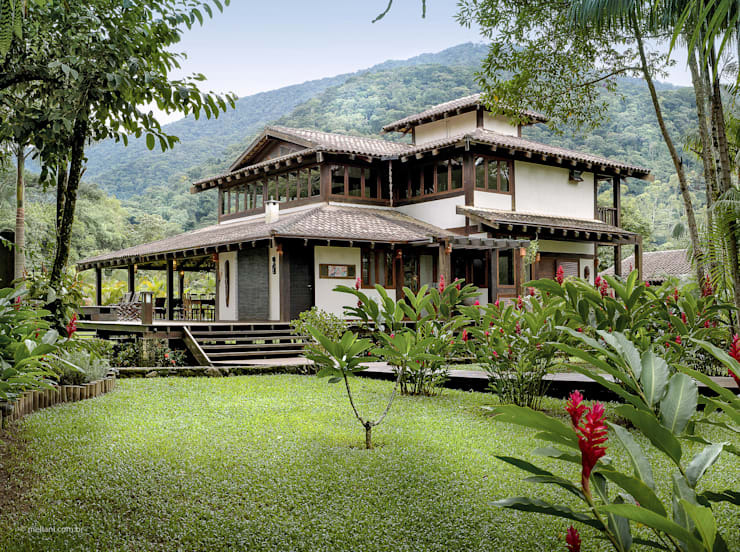 Situated on the coast of São Paulo, Brazil, this massive wooden home features a balance of rusticity and sophistication, all incorporated under a dominantly colonial aesthetic. You can see evidence of this distinct look in angles and layers of the roof, in the style of the beams that support the eaves, and in the large terrace that allows for enjoyment of the lush tropical surroundings. 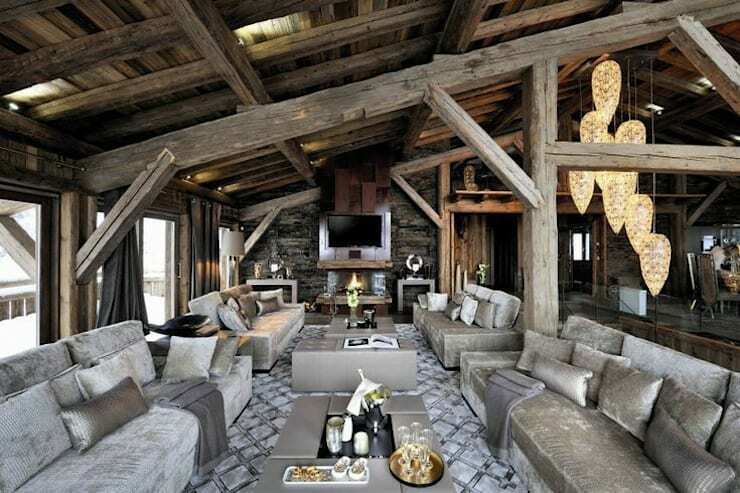 Share your own insight on these luxurious mountain homes below!